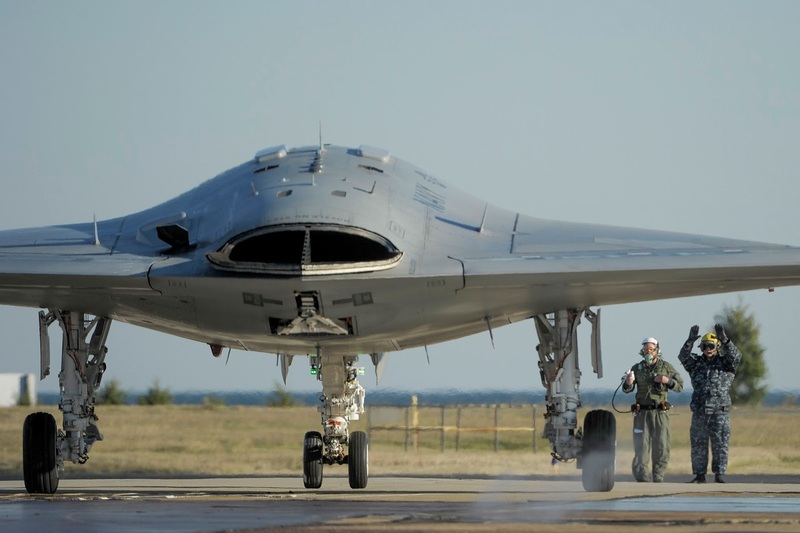 Currently the big company Northrop Grumman, which has an extraordinary history of achievements in the the area of aircrafts, is making publicity on TV and among the different aerial vehicles that shows, there is at the end –even after the B-2 bomber—the Unmanned Combat Air Vehicle X-47B. 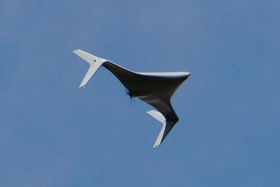 It’s amazing to see this drone flying, and the shape it has. Here is the image of it as it is presented on the screen. And here it is, taxiing before to take off. Another thing that flies nowadays is the Northrop Grumman’s Bat. This is what is called an Unmanned Aircraft System (UAS). 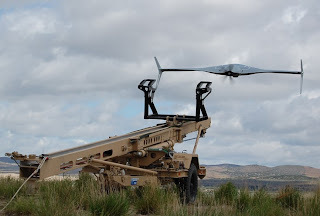 It is launched from a special pad and from there it goes into the sky.